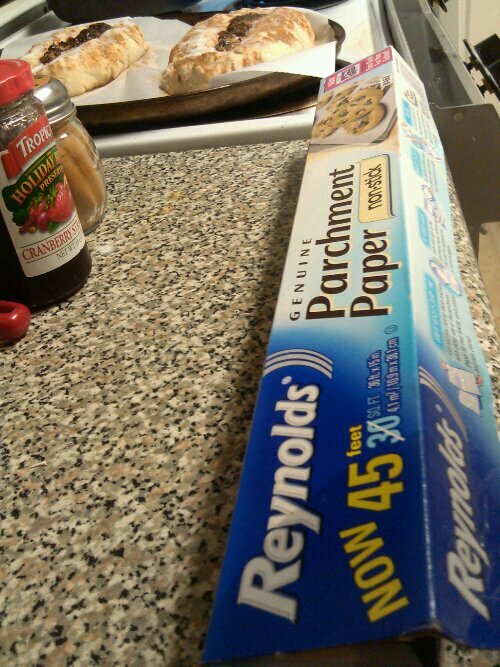 Rising on a parchment lined pizza pan….. 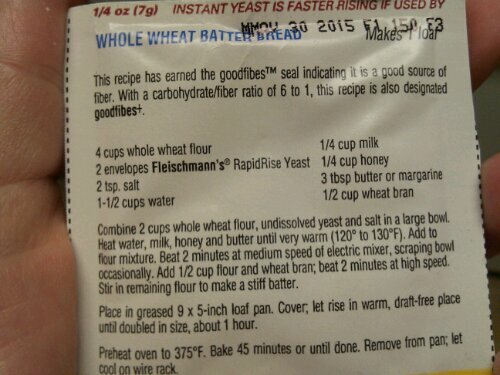 The recipe off the back of the Fleischmann’s Rapid Rise Highly Active Yeast packet for “Whole Wheat Batter Bread” I began with. And I didn’t have a half cup of bran so I left it out. 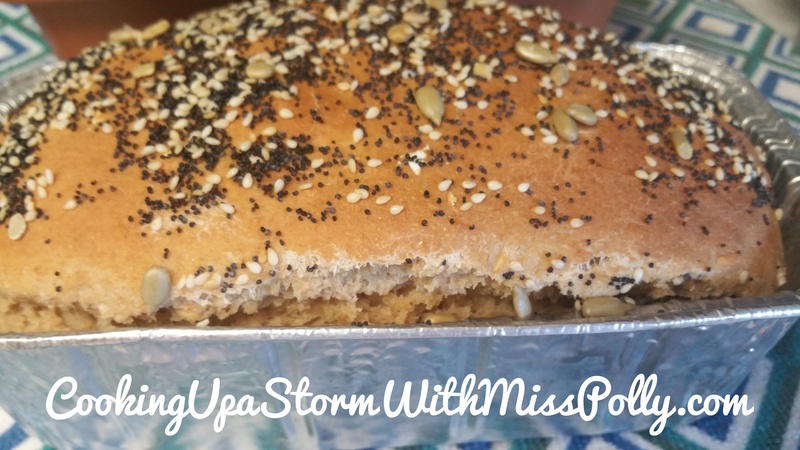 If you are in the mood for a whole grain loaf, by all means make this with whole wheat flour instead of all-purpose. 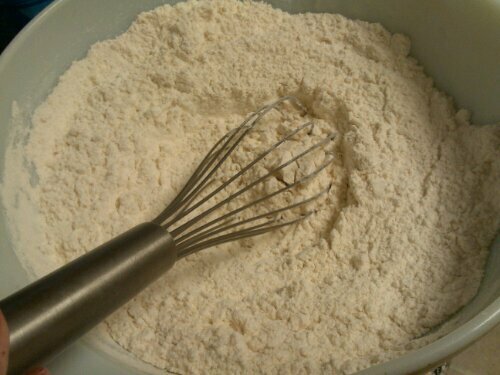 Mix the liquid ingredients with the dry ingredients and stir with a metal or wooden spoon until blended. Poke an indentation through the center of the loaves with the end of a large wooden spoon or silicone spoon or the side of your clean palm. 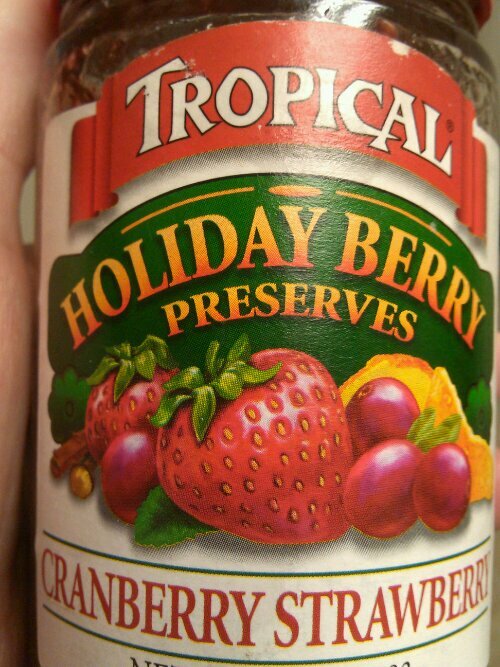 Spoon some of the Tropical Holiday Preserves in the indentation. 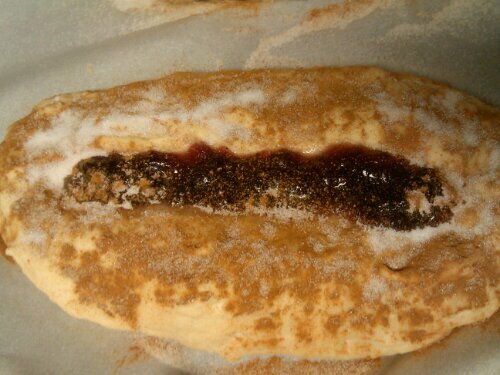 Sprinkle with cinnamon and then granualated sugar. Let rise for an hour…. 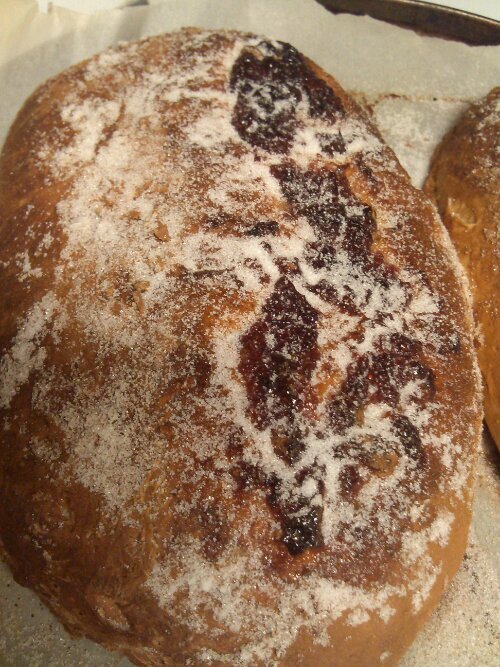 Bake at 375 degrees for about 45 minutes….or less, depending on how large the breads are. 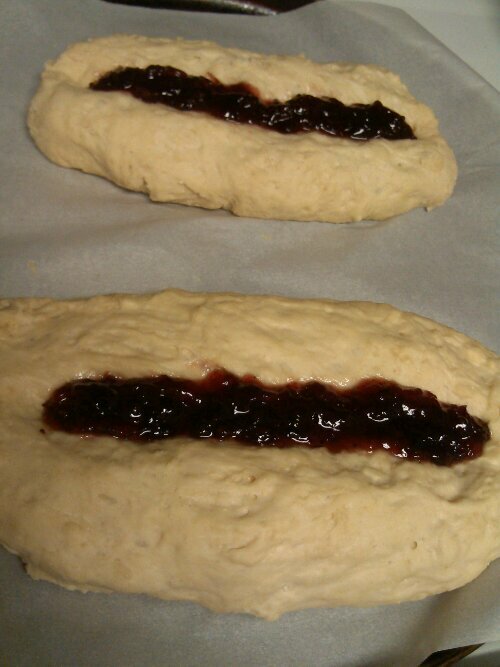 If you divide the dough into halves then you will only bake them 25 minutes. 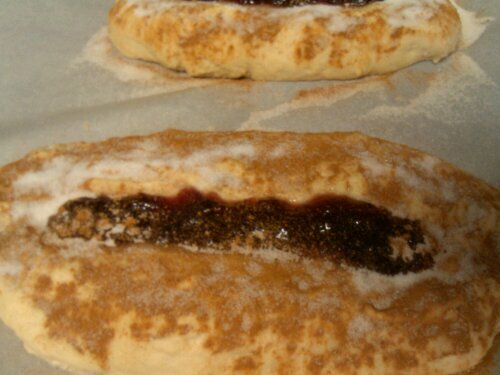 Recipe by Paulette Le Pore Motzko, Adapted from Fleishcmann’s Whole Wheat Batter Bread recipe. Wow does this looks delicious!!! I have never seen this before. Thank you so much for posting that picture of the back of the yeast package!! 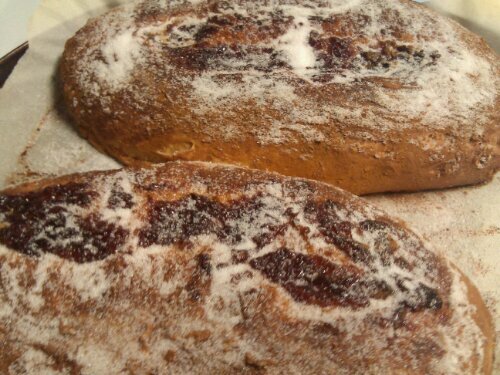 That is the best whole wheat bread recipe I have tried. I first made it about two weeks ago, and threw the packet away forgetting to write down the recipe. I googled for it, and came across your page. Second loaf, as good as the first. Try my version: skip the bran (I don’t have any in the house, either), and add about a cup of extras: I mix pine nuts, hulled pumpkin seeds and sunflower seeds, flax seed and rolled oats. Due to a shortage of whole wheat bread at my house the first time, I had to use one cup of all purpose flour. Since it turned out so good, I did the same the second time around as well. I just make one big loaf, and it turns out so dense and easy to slice. Perfect for toasting at breakfast. I’m saving your recipe, too, and bookmarking your page, looking forward to more. You made me day Rosin D! I forgot I made those since it was about 3 years ago! Comments like yours is why I spend some time 3 hours or more putting up one post of the recipe that I cook and bake. I hope you have a very blessed Easter Rosie D.